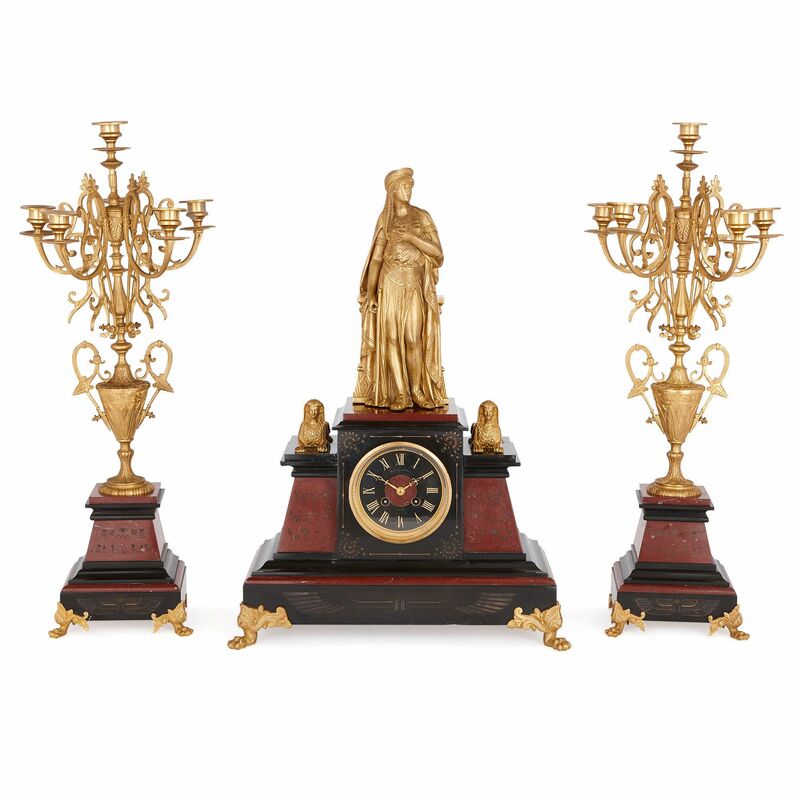 This impressive clock set is designed in the Egyptian Revival style, which flourished in Europe, following Napoleon I’s Egyptian campaign of 1798-9. The set is comprised of a mantel clock and a pair of candelabra. 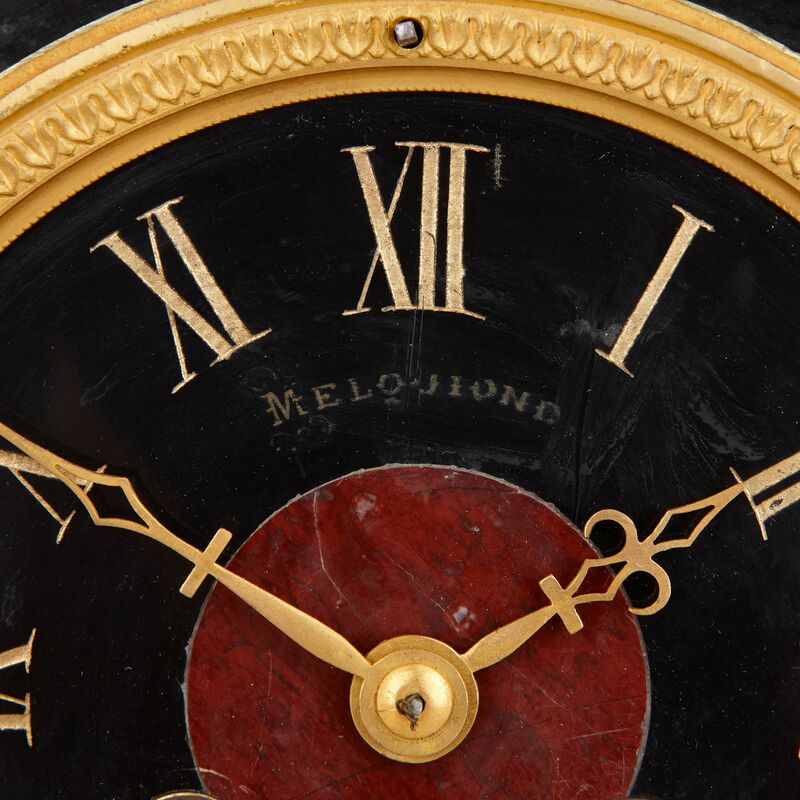 The clock is shaped like a pyramid, with a rectangular black marble base. 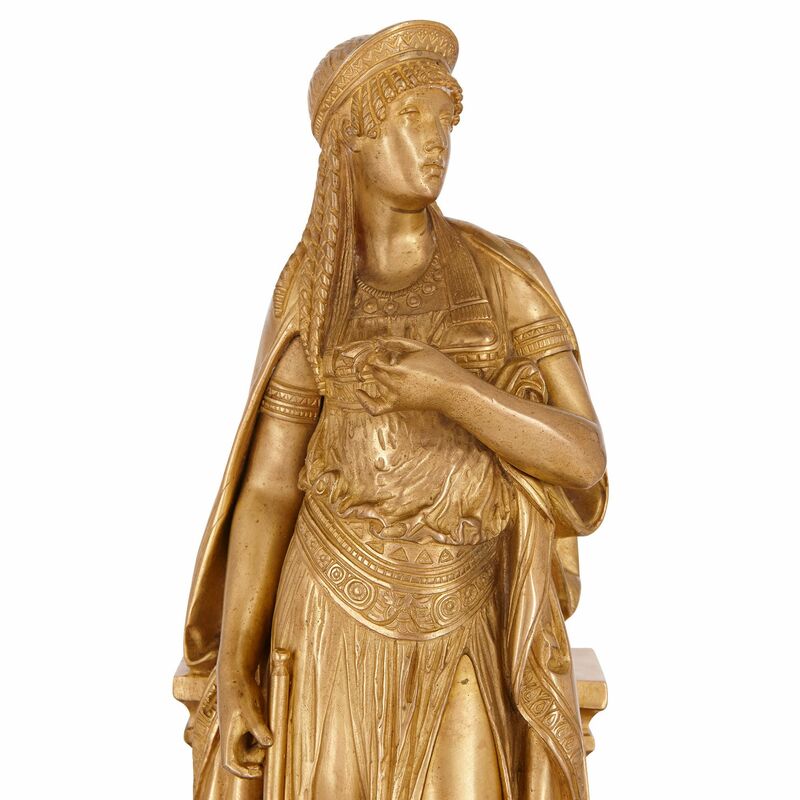 This base is decorated with a winged sun motif, and is set on four ormolu (gilt bronze) paw feet. 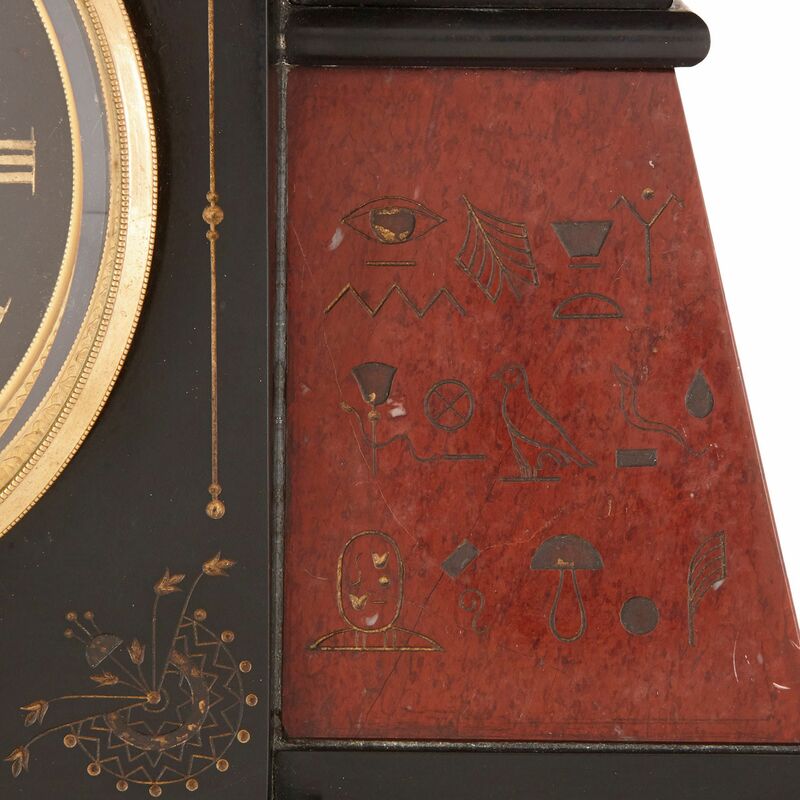 The clock’s body is crafted from a deep red marble, and is ornamented with hieroglyphs. 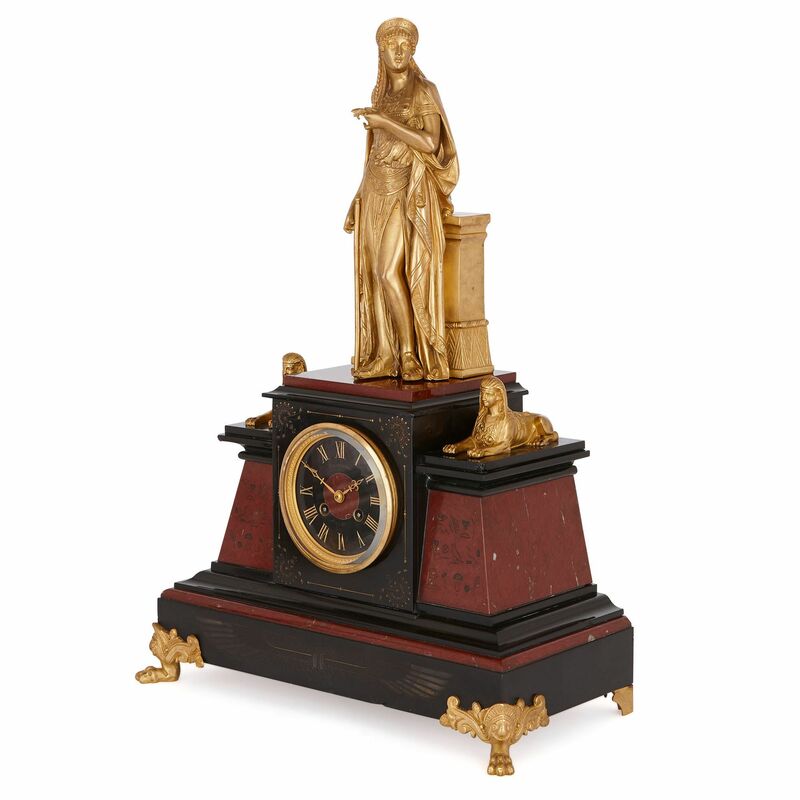 This is fitted with a cuboid black marble clock case, with a circular dial at its centre. 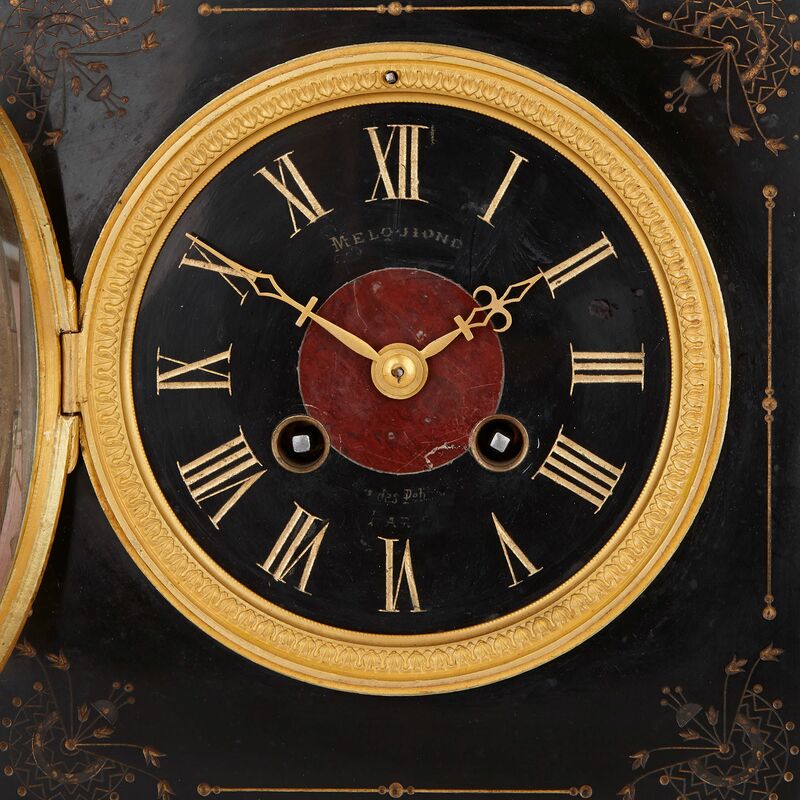 The dial features gilt Roman Numerals, the signature ‘MELQUIOND PARIS’, and it is contained within an ormolu bezel. The corners of the case are decorated with gilt geometric and foliate motifs. 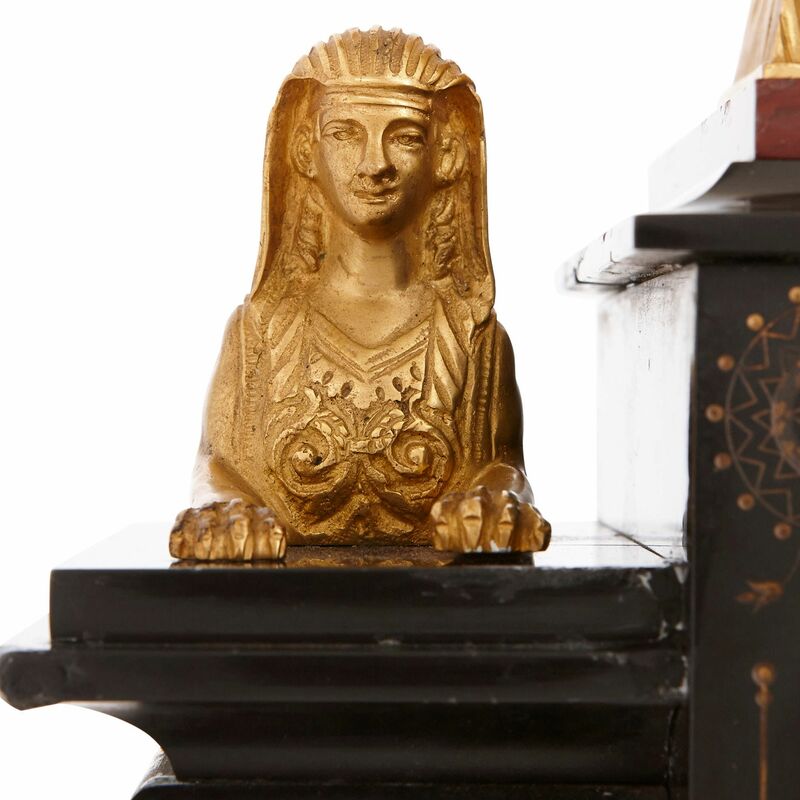 Topping the shoulders of the clock body are a pair of ormolu sphinxes, and the case is surmounted by an ormolu sculpture of a woman in Egyptian dress. Accompanying the clock are a pair of candelabra. These candelabra stand on pyramidal red and black marble plinths, decorated with hieroglyphs, winged sun motifs, and set on ormolu paw feet. 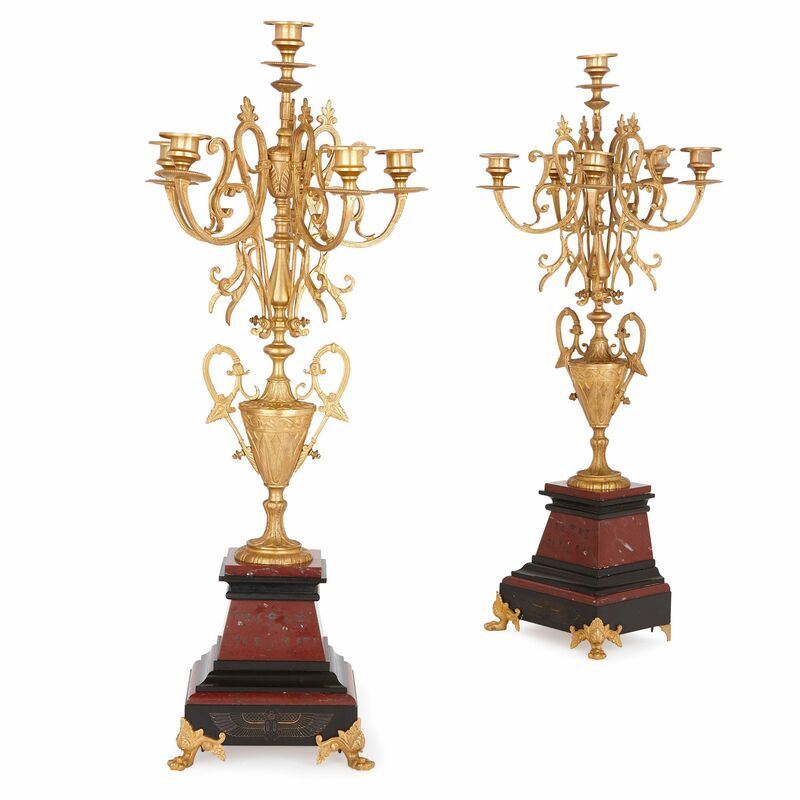 Each ormolu candelabrum body is shaped like a twin-handled vase, which is topped by six lights, comprised of five scrolling branches, centred by a sixth. These leafy, vine-like arms terminate in wide, beaded drip-pans and urn-shaped capitals.